Canada's first national umbilical cord blood bank is expected to get underway in 2013 with $48 million in government funding through this decade, health ministers announced. 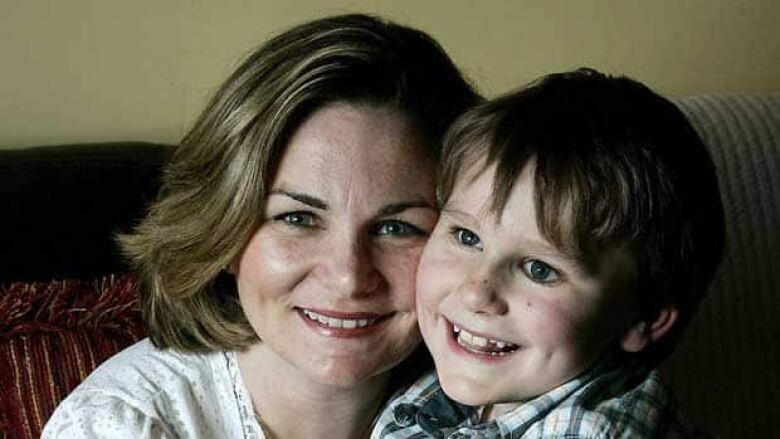 Canada's first national umbilical cord blood bank is expected to get underway in 2013 with $48 million in government funding through this decade, health ministers said Monday. Cord blood remains in the umbilical cord after birth. It contains stem cells that can be used to regrow blood and bone-marrow cells, and to treat diseases such as leukemia and some immune disorders. Monday's funding announcement by provincial and territorial health ministers aims to fill a 2007 call for a national, taxpayer-supported approach. "Something that's otherwise medical waste has the opportunity to save a life," said Sue Smith, executive director of OneMatch Stem Cell and Marrow Network at Canadian Blood Services (CBS) in Halifax. The blood agency will develop and manage the cord blood bank. "This is a game changer for Canadian patients. It allows us to really target the unique needs that Canada has." Provinces and territories have long recognized the need for a public bank, said Nova Scotia Minister of Health and Wellness in announcing the investment. There are currently more than 800 people who need a stem cell transplant in Canada, Smith noted. 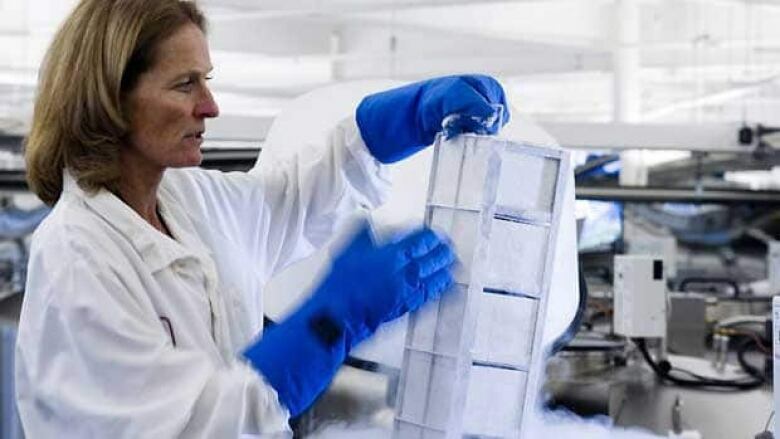 It is estimated about 70 per cent of patients who require a stem cell transplant must look outside their families for a match and have the best chance of finding it within their own ethnic group. A national, public umbilical cord blood bank will improve the chance of finding high-quality cord blood for patients, according to CBS. "Every year, I still encounter children even with the existing cord blood banks that I can't find a donor for," said Dr. John Doyle, who specializes in blood and marrow transplantation at Toronto's Hospital for Sick Children. "I'm hoping by us going to our own community to get cord bloods that I will be able to find a donor for those children." The national plan will be implemented over eight years, starting next month in Ottawa. It aims to bank 20,000 cord blood units, and will include two accredited cord blood stem cell labs and a collections network across Canada, CBS said. The approval includes a fundraising campaign by the blood agency that aims to build national support for the bank. The three-year campaign aims to raise $12.5 million of the investment. Parents will be able to choose to donate their children's umbilical cords anonymously to a public umbilical cord blood bank, making their donations available for any patient in need. Over the next two years, the blood agency will develop procedures to build the bank, and a cord blood stem lab will be established in Ottawa. The project will then expand to collect cord blood in Vancouver, Toronto and Edmonton hospitals. At that point, people will be able use special kits to donate and send cord blood to their nearest centre. Quebec runs its own cord blood banking program through Héma-Québec. Since stem cells from cord blood are more flexible than bone marrow, the match between donor and recipient does not have to be as close. In 2007, experts said a representative sample of 10,000 donations from the country's diverse population would probably be enough for use in Canada and international recipients when there is a match. Canada has 10 private cord blood banks, which offer to store frozen cord blood for years for use by a child's own family. The companies charge about $1,000 up front, and another $100 or so annually to store the cord blood. The Society of Obstetricians and Gynecologists of Canada and the American Academy of Pediatrics do not routinely recommend private cord blood banking.